Offering a strong moral and populist rebuke of the Trump administration, Massachusetts Sen. Elizabeth Warren urged Democrats to turn out in November in a keynote speech at the state Democratic Party Convention in Reno Saturday morning. Warren, a potential candidate for president in 2020, turned the crowd electric railing around the “cesspool” she said that has developed in Washington, D.C., co-opting Trump’s language of the Capitol as a swamp. Warren spoke hours before President Donald Trump arrived in Las Vegas, where he was set to address the Republican Party’s state convention at the Suncoast Hotel & Casino Saturday afternoon, attend a roundtable with casino executives and host a fundraiser with Sen. Dean Heller, one of the most vulnerable senators up for re-election this cycle. 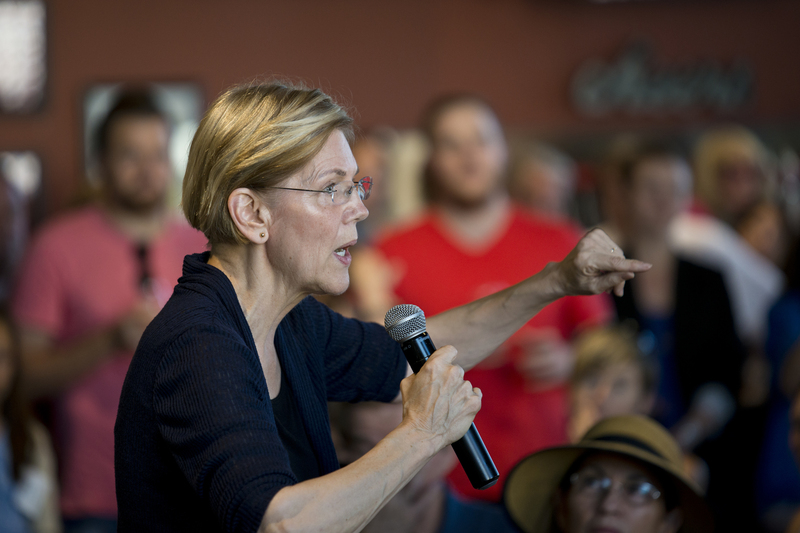 At the beginning of the speech, Warren invoked her experience campaigning in Nevada, where she hosted rallies for Nevada candidates and Hillary Clinton during the 2016 cycle. 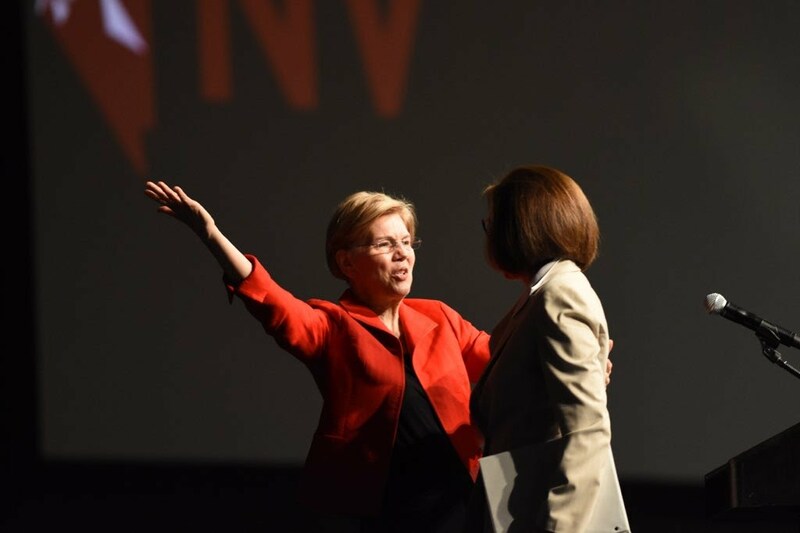 “We are in the fight of our lives and we need Nevada fighters,” Warren said. The senator from Massachusetts, who has become one of the party’s most consistent and effective surrogates, slammed Trump and the Republican-controlled Congress for its record on immigration and health care, slamming cabinet secretaries, including the director of the Environmental Protection Agency, Scott Pruitt, who has been besieged by scandals. Before Warren’s keynote, federal and statewide Democratic candidates offered short pitches for why the base should come out to vote for the party’s slate up and down the ballot. Rep. Jacky Rosen, running to replace Heller, committed to fighting for immigration reform that protects DACA recipients, protecting reproductive rights and defending health care from repeal efforts. Rosen held few punches in going after Heller in front of the party loyal, focusing most of her attacks on Heller’s differing decisions on replacing the Affordable Care Act last year. She noted that Heller came out in support of a repeal effort after opposing an effort earlier in the year. Rosen decried the Trump administration’s zero-tolerance border policy that resulted in the separation of families at the border. Rosen said she is going to the border on Monday and called on Heller to have the “backbone” to talk to the president personally at today’s fundraiser to come to a solution to fix the border crisis where children are still separated from their parents. In addition to the federal races, the gubernatorial race is likely to be one of the most-closely watched this cycle. 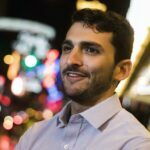 Clark County Commissioner Steve Sisolak, the Democrat’s candidate, asked the party to unite around his candidacy after a bruising primary with Chris Giunchigliani, a long-time progressive and the vice-chair of the Clark County Commission. The message was especially important in Washoe County, where Giunchigliani won by about 12 points. Throughout a morning of speeches, the Democrats cast Sisolak’s opponent, Attorney General Adam Laxalt, as an extreme conservative who would stand in the way of progressive policies. Cortez Masto, throwing blue meat to the audience, said Laxalt is in bed with the Koch Brothers and only interested in pushing a “radical agenda straight out of Trump Tower.” The senator, who won her first term in the Senate in 2016 to replace former Senate Majority Leader Harry Reid, took particular umbrage at recent comments Laxalt made about having done more for women in the state of Nevada than Cortez Masto did when served as Nevada’s attorney general. After the event, Warren and Cortez Masto flew to Southern Nevada for an event in Henderson. A standing-room-only crowded greeted the pair shortly after 5 p.m. at Lovelady Brewing Company. Warren continued her attack on Trump inside the Henderson brewery, calling it a “dark time” in American history. She also fought back against the president calling her “Pocahontas” — a nickname he bestowed on her in 2016 after questioning her Native American heritage — during his Las Vegas visit the same day. Warren said it’s nothing more than a distraction from the real issues facing the nation that he won’t discuss. The Massachusetts senator went on to list a series of problems not being solved — health-care costs, the opiate crisis, infrastructure and student-loan debt — that she said have taken a backseat to Trump’s tax-reform bill. Warren said the tax plan, which has been roundly criticized for favoring the wealthy and large corporations, leaves little money to address these other challenges. She took particular offense to the student-debt situation, saying the United States government stands to make “billions of dollars in profits off the backs of young people who have to borrow money” for higher education. “No country that is decent, no country this is trying to build a future does it by crushing the hopes and futures of its young people,” she said. Later, Warren offered a similar rebuke of Trump’s immigration policies, which have triggered an outcry the past few weeks as more information emerged about children separated from their parents at the border. On Wednesday, Trump signed an executive order reversing his administration’s previous family-separation policy. Still, Warren took aim at his overall hard-line stance on immigration, which includes building a wall along the U.S.-Mexico border. But there were lighter moments during her hourlong Henderson visit as well. When one woman, who described herself as a Girl Scout troop leader, asked Warren how young girls can practice being civically involved, the senator broke out in a smile. Then she answered the woman’s question in a way that was just as much a call to voters as it was advice to young female leaders.